* It is affordable and safe. The recurring depositis more affordable than most conventional investment options, with a good payoff. The recurring deposit interest rate remains constant throughout the deposit tenure, irrespective of market rate changes. So, you can calculate the RD appreciation even before you make the investment, by using an online RD calculator. * It is highly liquid.There may come a time when you need money for an emergency. The RD account can be liquidated easily during a financial crisis, and the money is deposited in your account the same day when the bank receives your termination request. 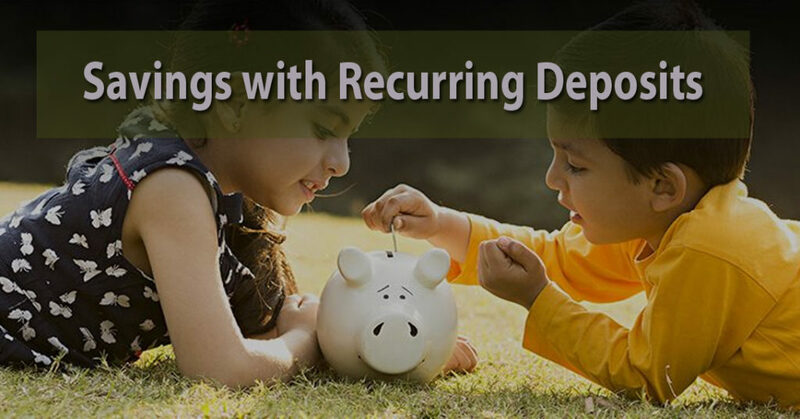 However, you are not paid any interest on premature termination of the recurring deposit account.